Are you into the cupcake craze? The seam so innocent - just little itty-bitty frosted cakes. Okay, truth be known - I could have three at a time. 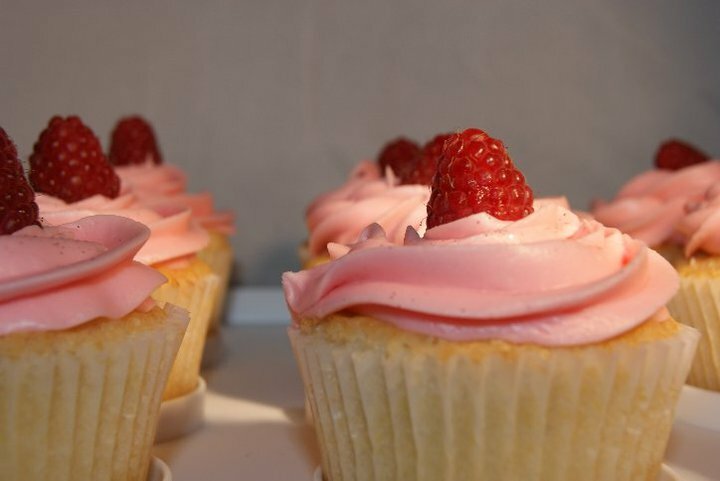 Cupcake cafes have sprung up across the country. Spokane, usually a tad behind on these things does have a few places to indulge in baby cakes. Celebrations - A Cookie & Cupcake Boutique at 713 West Garland. I noticed it on my way to Bon Bon, the vintage cocktail bar at the Garland Theatre. The building is pink and brown striped, you can't help but notice it. There's the cutest cupcake place downtown called Sweet Frostings Blissful Bakeshop at 15 S. Washington. Love the decadent decor of this sweet shop. One can't help but be happy there. You can also get these delicious mini-cakes at Taste Cafe, Madeleine's, CAKE at Chaps and the Rockwood Bakery. William & Sonoma sells the "Sprinkles" brand that you can bake at home. 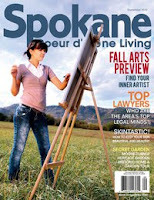 Showing-up Spokane by getting a dedicated shop first was Sandpoint, Idaho with Hey, Cupcake. Seriously, cupcakes make people smile and wine enlivens any event. Pair the two for an easy, impromptu party to remember. SIP thinks a Sparkling Wine such as Arbor Crest or Mountain Dome pairs nicely with almost any cupcake and Washington Viognier, such as Barili, Overbluff, Townshend and Terra Blanca are wonderful when paired with Vanilla, Coconut or Lemon incensed cupcakes. It’s like a decadent peanut butter and jelly. The fresh, fruit-forward, jammy Beaujolais complements the chocolate and peanut butter flavors. The tropical notes of the wine fit the dry, sweet, tropical-tinted coconut and vanilla flavors. This distinct red sparkler’s fresh sweetness and pleasant party appeal makes it a versatile cupcake companion. The effervescence complements the lively flavors of the cupcake, and the two distinct sweetnesses reinforce each in a cotton-candy combination. Perfect for sweet teeth. *Lemon cupcakes and Sauvignon Blanc or New Zealand Style whites. SIP chooses a Washington Viognier. The crisp, green, tart wine cuts the lemon’s acid and reinforces the pound-cake flavors of the confection. Let them eat CUPCAKES (and drink wine). * Sip's published article has been updated for accuracy.